"The power and the grit that come out of heavy metal music and the way it makes people feel and acted attracted me, and ever since I can remember I've been drawn to it. 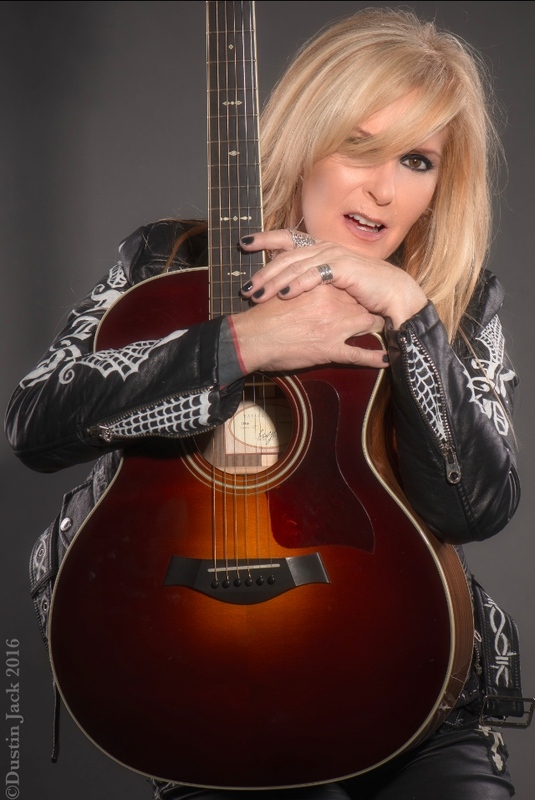 It's more or less the attitude that I loved, and that attitude is a part of me, so I was able to relate to it more than to any other attitude in music," writes pioneering rock guitarist Lita Ford in her recently-published memoir Living Like a Runaway. 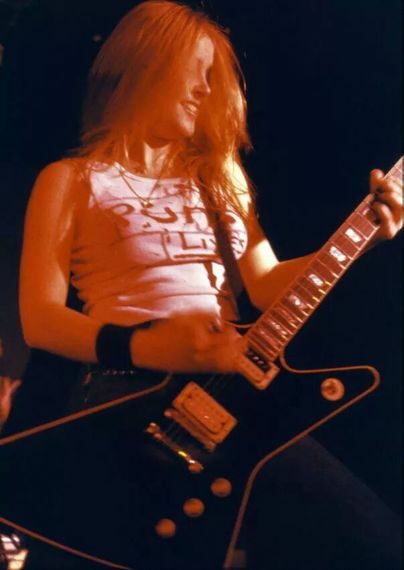 That attitude she describes undoubtedly fueled Ford's long career that first began when she played in the all-female 1970s rock band the Runaways (which included Joan Jett)--and through her career as a successful heavy metal solo artist during the 1980s with hits such as "Kiss Me Deadly" and "Close My Eyes Forever." Along the way, she held her own in the world of male-dominated hard rock by sharing the bill with the likes of Rainbow, Bon Jovi and Poison. Living Like a Runaway traces those aforementioned aspects of Ford's wild rock and roll life from the moment she auditioned to be in the Runaways in 1975 for the controversial producer Kim Fowley. Along with the music, the book also offers anecdotes of Ford's encounters with many famous figures in rock such as Dee Dee Ramone, Ritchie Blackmore, Nikki Sixx, Edward Van Halen, and Jon Bon Jovi--as well as her recollection of her tumultuous relationship with Black Sabbath guitarist Tony Iommi, whom she was once engaged to. The book also recounts her hiatus from music during the 1990s and 2000s to settle down with her second husband and two children. Following her divorce, she re-emerged with the Living Like a Runaway album from 2012 and has since toured. 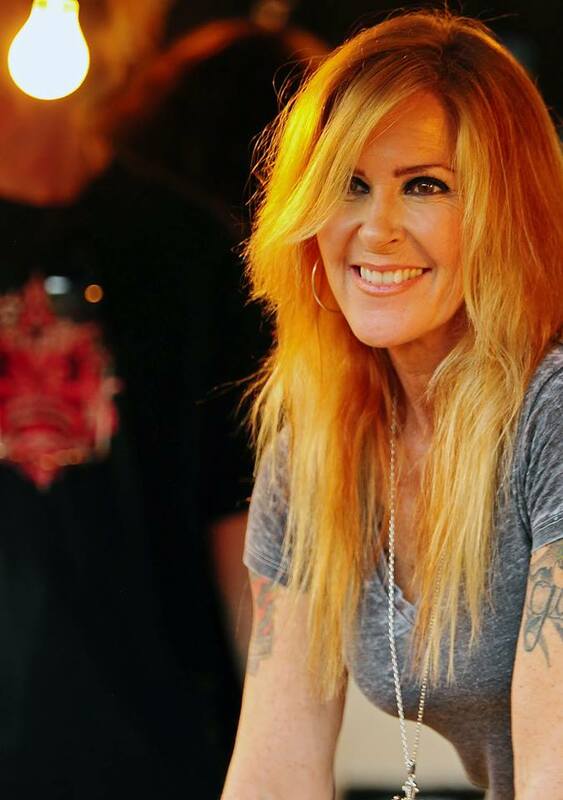 In this edited interview, the "Queen of Metal" talks about the Runaways; her solo success during the '80s; losing contact with her children after her divorce; and her upcoming album Time Capsule, due out April 15. You've been involved in music for about 40 years since the Runaways. Why was now the right time to write your memoir? It seems like I'm a trailblazer here for women in rock. There were other women before me, of course, but they were women--they weren't girls. Starting in the Runaways, I was a girl. I wanted to write what it was like being a female in the music industry. I wanted to just write about it and tell everyone who I got to be with and what hurdles I had to jump...all the trials and tribulations in a man's world. You write about seeing Black Sabbath at the Long Beach Arena in California during your youth. That experience had a transformative effect on you in some ways. I had already been playing for two years before I went to that concert. I knew other people's riffs like Deep Purple, one of my favorite bands. Of course, [Jimi] Hendrix and [Led] Zeppelin--I knew all these riffs already when I was age 13. I was playing them. So when I went to see Sabbath, I knew their songs. What really blew me away the most was the actual concert itself and all the people crammed into one room like that. The smell of pot, people were stoned, the volume of the music--I've never been around music so loud. It's just the whole vibe the band was making the audience feel. I wanted to do that. I wanted to be able to make people feel like Sabbath were making me feel that night. You auditioned for Kim Fowley to be in the Runaways. What did you think of him at the time and his idea of starting an all-girl rock group? I thought he was a genius. There weren't ever any all-girl rock bands--we were the first. There may have been other women in the music industry but they were women--they weren't teen-aged girls. And that's what made us rebellious little punks. We lived up to our reputation [like] trashing dressing rooms. It was the ultimate rock and roll lifestyle. Even though the band had only lasted four years, the legacy of the Runaways still continues to this day with the 2010 movie dramatization (The Runaways), a documentary (Edgeplay), and books by your former band mate Cherie Currie (Neon Angel) and journalist Evelyn McDonnell (Queens of Noise). Your breakthrough album was 1988's Lita, which contains your signature hit "Kiss Me Deadly." Did you think at the time that it was going to be a huge song for you? No I didn't. I really didn't. Mike Chapman, who produced the album--he did. I left it into his hands. He had musical creative control over the album. So he was the one who picked what songs went on the album. And he put "Kiss Me Deadly" in there and it went up on the charts like crazy. It was the (sings) 'uh huh, it ain't no big thing.' That line sold so many records because it was predated and it was sexual. At that time in the music industry, people weren't singing about body parts, 'it ain't no big thing,' and everyone knew what I was talking about. It refers to going to a party and getting into a fight...but when you hear 'it ain't no big thing,' most people usually think about their body parts (laughs). It kind of had a double meaning and it definitely attracted a lot of radio stations' attention. So it was good. Also from that album is your duet with Ozzy Osbourne on "Close My Eyes Forever." At the time of "Kiss Me Deadly," Sharon Osbourne managed me and she also managed [her husband] Ozzy. So it was perfect for us to get together and do a duet. We were also voted at the time 'Number One Best Female Rock Vocalist' and 'Number One Best Male Vocalist' [respectively in Metal Edge magazine], and she had us both. Within the realms of hard rock and metal, you were friends with a lot big-name male artists who treated you as an equal. Why do you think that was? I really don't know. They really did treat me as equal. There were a handful of people that turned their nose up. They weren't sure what to think. For instance, the guys in Rush. We [the Runways] were on tour together. It was almost like they were running from us at some point. We were like, 'We're really not chasing you, you don't have to hide from us.' And that one shot that's circulating on the Internet where we're all sitting together at that roundtable--that shot was forced. Someone actually made us sit there for a photo because we were never seen together. We didn't talk. It was odd. But they're the musician's musicians, they're the real best of the best. But then again so were Queen, and the Runaways were friends with Queen. We never got anything negative against us, they didn't see anything awkward or wrong. The '90s were a tough time for metal artists such as yourself with grunge entering the picture. Afterwards you went on a hiatus from music to get married for the second time and raise your kids. Were you disenchanted with the music industry then? I was tired. I had been on the road since 1975 and here we are in 1994. So I had been on the road for 20 years. I was just wiped out. I wanted to take a break. I just wanted to be with my kids. And when I got pregnant, that was my number one thing: being a mom. I didn't care about anybody else or anything else other than my children. I wanted to be a good mom, like my mom was. It was only after you got your divorce from your husband that you got back into playing music again. And then I had to get a divorce. Things were bad and they were always bad, which is why I hung out with my kids all the time. We had fun together and I home-schooled them. They learned from me and I was a damn good teacher. You talk about losing contact with your kids after your divorce. Since the publication of the book, have you kept in touch with them? No. I haven't had my sons in five years, which is devastating. Absolutely every day of my life, it eats away at my heart. And I worry about them--I don't know where they are. I have no contact with them. They think I'm the bad guy. They think I did this on purpose because I wanted to be a rock star and didn't want them anymore, which is not the case. I'm not like that, I'm not physically abusive (sighs). I was a great mom--cooked, cleaned, did everything, made sure they got nice clothes. Anything they wanted to do, we would do. We would always have fun. Your song "Living Like a Runaway," from the 2012 album of the same name, is autobiographical in some respects. I wrote it during the time I was actually going through it and filed for divorce and moved out of the house. My friend said to me, "Lita, you're living like a runaway." And I went, "Wait a minute, that's a great song title." So he and I wrote the song together. In the book, you describe an attempt to regroup the Runaways with the other members sometime in the late '90s that never materialized. Is there still a chance of a Runaways reunion in the future? Along with the book, do you have any new music coming up? The new album coming out, Time Capsule, was taken from analog tapes that I had. They're amazing, the songs are incredible. It's a little piece of the '80s that a lot of people miss or a lot of people missed. We did a quick fresh mix and released it as it was. We didn't change a thing. There's great musicians on the album like [Mr. Big's] Billy Sheehan, [Jane's Addiction's] Dave Navarro, Robin Zander and Rick Nielsen from Cheap Trick, [KISS'] Gene Simmons. Jeff Scott Soto is singing a duet that is awesome--so good. So there's some really magical stuff in the Time Capsule. From what you describe in Living Like a Runaway, it seems amazing that you packed so much in a lifetime, especially during your time in the Runaways. You were 20 when the group was finished, and there were still more years to come. We were drilled and conditioned for rock and roll. You can either take it or get out. My girlfriend--whom I know for 40 years--she said to me, "How the hell are we still alive?" I don't know, but we're still here for some reason. 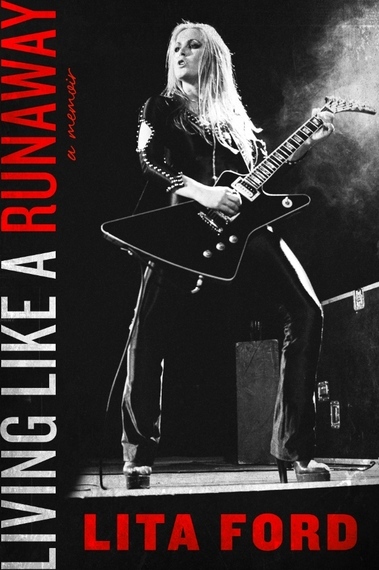 "Living Like a Runaway: A Memoir" by Lita Ford is published by Dey St. Books. Her new album "Time Capsule" comes out on April 15.